For a long period of time, management at Didcot Railway Centre have wanted to have an appropriately themed playpark at the Centre. 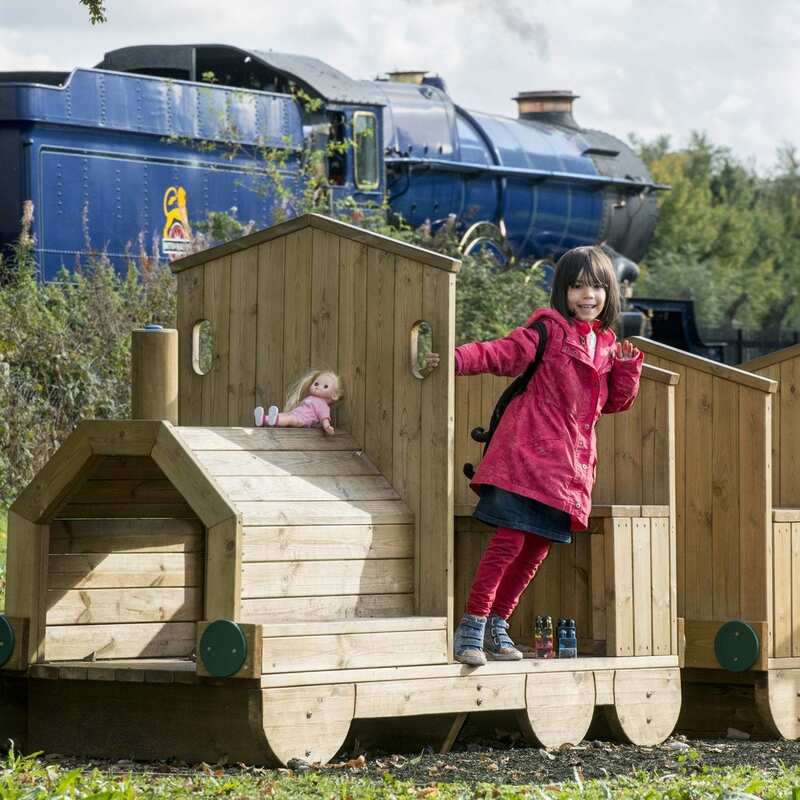 This has now come to fruition, and the new railway themed playpark is to be formally opened by former Didcot Mayor, Scott Wilgrove on Sunday 9 July at 1200. As Mayor of Didcot (2014-2015), Scott had to nominate a Charity for the year. He chose Didcot Railway Centre, and decided that the much desired railway themed playpark would be appropriate. Scott consequently became a guard at the Centre, after his year in office. The funding for the playpark came from Scott’s Mayoral fund raising, and a community grant from Magnox Ltd, the nuclear decommissioning site license company, one of whose centres, is at nearby Harwell.